This comedy writer, Matt Geiger, the author of Raised by Wolves, is not like Sedaris or Williams. Not in the least. (By the way, no one was raised by wild canines here, to my disappointment! But a large dog lives with the author and family, so that almost qualifies as an accepted topic for canine-lovers.) Geiger favors a kind of sweet comedy; not that what he writes isn’t funny–it’s not rude. It’s not off-center. It’s not making fun of people except possibly himself. 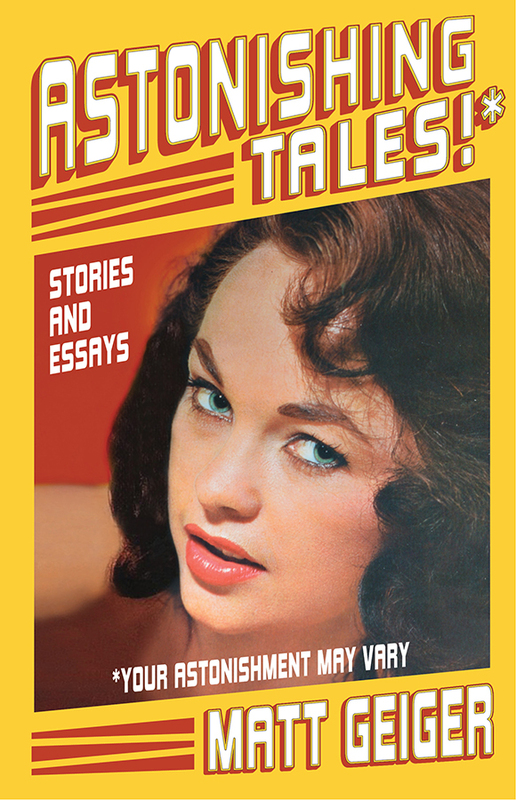 His stories won’t make you blush or guffaw for five minutes. They’ll make you chuckle or think, “Where has this guy been? Did this truly happen?” He lives at a slower pace in Wisconsin. Think American cheese and white bread. Mind you, I love cheese, and Matt Geiger is not white bread; he just likes a quieter life than might take place in larger, more cosmopolitan places. He wants his wife, daughter and animals to lead a more rural, less stressful life. I regularly scold myself for being disengaged from the majestic world around me. For slipping away, mentally, and not taking note of the beauty when a dollop of fresh rain collides with an old, soft, green-hued plank on a porch. 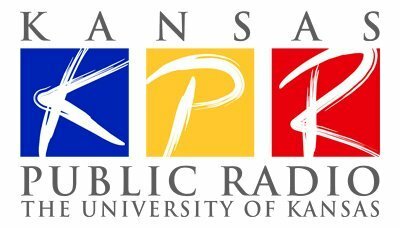 For not being stunned by the mythic, atavistic form of a vast cloud of steam rising from the sagging jowls of a big dog on a sunny, midwinter afternoon… Hear the entire story on WPR. Everything you never wanted to know about author MATT GEIGER, and more! Geiger’s debut “The Geiger Counter: Raised by Wolves & Other Stories” was selected as a finalist in the Humor category. American Book Fest, an online publication providing coverage for books from mainstream and independent publishers to the world online community, announced on Nov. 9 the winners and finalists of the 2017 Best Book Awards, presented for titles published in 2015-2017. 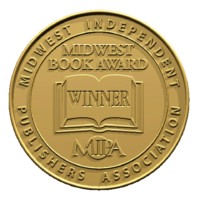 Wisconsin author Matt Geiger’s debut The Geiger Counter: Raised by Wolves & Other Stories was selected as a finalist in the Humor category. Jeffrey Keen, president and CEO of American Book Fest, said this year’s contest yielded over 2,000 entries. A complete list of the winners and finalists of the 2017 Best Book Awards is available online at americanbookfest.com. Earlier this year, The Geiger Counter: Raised by Wolves & Other Stories was also named as a finalist in the 2017 Next Generation Indie Book Awards. Hear “The Geiger Counter: Raised by Wolves & Other Stories” author Matt Geiger read “Boring Death: A Theory Of Midwestern Cemeteries” on Wisconsin Public Radio. I devoured Humorist/Philosopher Matt Geiger’s new book like a fresh batch of hot, buttered popcorn. 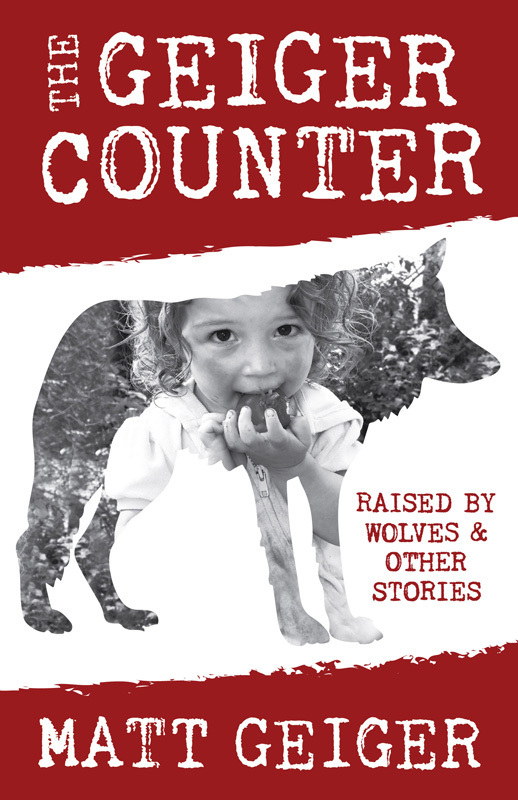 The 232 page book, “Geiger Counter: Raised by Wolves &Other Stories,” is a clever mixture of childhood remembrances, St. Augustine college stories and vignettes of sweet fatherhood. Stories as diverse as “In the Graveyard,” “Fixing Things” and “A Christmas Story” seamlessly mix his past St. Augustine experiences with more current happenings in an enjoyable stream of consciousness prose, while— surprisingly— the hilarious “Stop and Smell the Manure” is set in Wisconsin, his current home. The sporadic love letters to his toddler daughter are a nice respite from the cartoonish violence of his accounts of growing up on a farm, and show his growth as a person. Died-in-the-wool re-enactors may quibble with a few of his historical liberties but most of them are in a humorous vein. His little sister joins the circus. His parents buy a nerdy horse. He’s surrounded by hundreds of men dressed up as Ernest Hemingway. He tries to order a monkey through the mail. And now his baby is eating dog food. “The Geiger Counter: Raised by Wolves and Other Stories” is an anthology of short stories showcasing an author with an impressive flair for originality and deftly crafted storytelling. Matt Geiger reveal the sublime in the mundane and the comical in the banal. There is existential dread. There is festivity amid detritus. There are moments of genuine introspection on what it means to be human. And it’s all laugh-out-loud funny when told by a humorist who is determined to live an examined life, even if he’s not always entirely sure what he’s looking at. While very highly recommended, especially for community library General Fiction collections, it should be noted for personal reading lists that “The Geiger Counter: Raised by Wolves and Other Stories” is also available in a Kindle format ($9.99). Matt Geiger is terrified most of the time. And he’s fine with that. 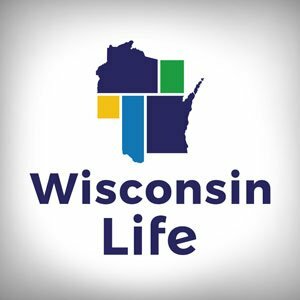 That’s just life, says the weekly newspaper editor and columnist, and all you can do is sit back and be amused. Geiger’s wry observations form the bulk of the essays in The Geiger Counter: Raised by Wolves & Other Stories (Henschelhaus Publishing), a collection of 44 columns. …of books and manuscripts from folks requesting I read their work. I am humbled by this, because that’s exactly what I want, too. Unfortunately there are so many weekly arrivals I’d have to read full time just to acknowledge a fraction of them and meanwhile my own work (as a writer, yes, but also as a Dad and a 9-below plow-truck starter) wouldn’t get done. I’m saying this because there is a fellow named Matt Geiger currently residing in Wisconsin who has just released a collection of writing called The Geiger Counter: Raised by Wolves and Other Stories, and I’m glad he has, because we need as many thoughtful, reflective, matter-of-fact voices as we can get. Matt and I are not buddies or related or anything but I can tell you when I peeked in his book I saw the word “chickens” and the phrase “fail the Scott Fitzgerald IQ exam,” so we share that. Also, he got a blurb from Doug Moe, and Doug Moe is a solid citizen. Here’s the book right here. Each column allows readers to dive into the funny, heartfelt world of Matt Geiger. What I want to know is: How has there been this delightful writer living in my area code for more than a decade and I’ve just heard about him? It’s true that his first book was released just last week, and that he writes columns for small newspapers that I don’t often see. But still. The world needs to know about Matt Geiger. “Calling home from college to tell your parents you are switching your major to philosophy and theology is a rather sobering experience for everyone involved.